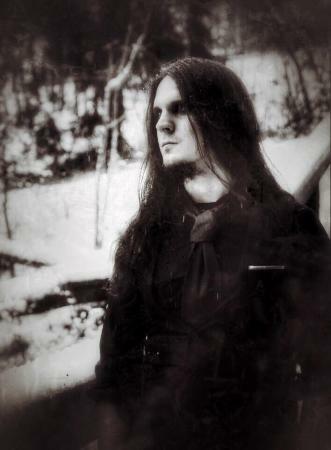 6 years ago a Finnish one-man project “Coldbound” has started to play raw black metal, later musician moved from hometown to Sweden. This June there was 4th record released, which surprised listeners by turning music direction to melodic death/doom music. It seems these changes were successful - latest „Coldbound“ album was praised by reviewers of metal underground websites. “Coldbound” founder Pauli Souka chated with us about band history and recent news. 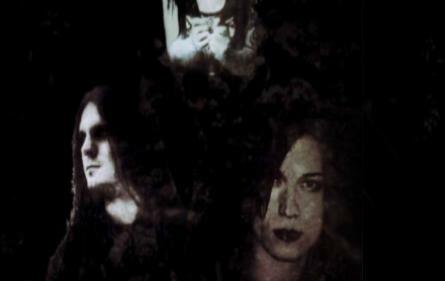 - JOURNALIST FROM NOISEBENEATHTHESNOW.COM YOUR CHANGES IN MUSIC STYLE (FROM RAW BLACK METAL TO DOOM) CALLED EVOLUTION. WHY THIS EVOLUTION LED YOU EXACTLY TO DOOM METAL (NOT TO DEATH METAL OR STONER)? - Hello Povilas and thank you so much for your time. In fact “Coldbound” right now plays Doom/ Melodic Death Metal. The main concept was that when I started the project, I was aiming for this genres but due to technical/financial limitations I couldn't record anything but raw dissonant music. But long story short, I am happy right now as I am heading to the initial goal and point that ignited my will on recording music. - ONE GUY FROM LITHUANIAN DOOM METAL BAND ONCE TOLD ME THAT “METAL CAN'T BE A HAPPY MUSIC” (I THINK HE HAD BANDS SUCH AS “HELLOWEEN” IN HIS MIND). DO YOU AGREE WITH THIS OPINION? - Metal music, as any kind of music in general, has a power to manipulate a thin string that can ignite the sparkle of a certain feeling that happens in the particular moment. If you take a stroll outside your central square, you will witness many people, but take also a minute on thinking about what thoughts each one of them has. In fact we all have different emotions at the same time. We are here but in the same time we are somewhere else. Crazy, right? Therefore, in order to answer to your question, I think that metal music, as well as any kind of music, can also inspire happiness. Thanks to music we are going through all kind of emotions and all sort of situations. - IF I AM RIGHT, YOU ARE FINNISH GUY WHO LIVES IN SWEDEN NOW? IF YES, DOES CURRENT LOCATION HAS INFLUENCE FOR YOUR NEW SONGS? - I am not entirely Finnish, only 1/3. I am a mix of German, Greek and Finnish blood, tho was living in Finland for quite many years. I wouldn't say that Hudiksvall/Sweden where I live right now has inspired me in order to create this album or this sound. I would rather say that the last years and the experiences I gathered have helped a lot in order to grant my the inspiration. Of course in Hudiksvall, I have had a clear mind while living here and composing the album, since I was faraway from the stress that conquered me the last four years. The very first song of the album is entitled with some coordinates which lead in the middle of the open sea near the town where I live. That I choose because this was the very first melody that I composed in Hudiksvall. The reason that the location is somewhere in the sea, is because it wouldn't look “magical” if it was somewhere inlands (next to a boozer or some fast food chain or some random house). Besides, I moved to Hudiksvall by using a boat as transportation mean, so this transference of my feelings and music from one land to another happened thanks to the element of the water, therefore the transfer of the music from the one genre to the other, I wanted to have a small connection with the water element. - ALL “COLDBOUND” ALBUMS WERE RELEASED ON CD. HAVE YOU EVER THOUGHT TO RELEASE YOUR MUSIC ON VINYL OR CASSETTE? - So far actually is a miracle that the releases are available on a CD format. During to limited financial founds I have had the last years, it didn't really allowed me to even publish anything physical. But now thanks to a proper promoting plan and probably some good luck, I have sold mostly all of the current stock of the albums from “The Gale”, as well as some exclusive merchandise. In order to print vinyls, will require lots of money and the risk is even bigger. Including mastering and printing of course. Once there was a limited cassette release of my EP somewhere in 2014 “Superior Lakes Of Sorrow”. Believe it or not, I don't even have the cassette tape, ha-ha. But for now, a good looking digipak release is all I would want to do. Vinyls are superior but I don't think that they fit my personal preferences when it comes to bands such as “Coldbound”. - WE CAN HEAR FEMALE VOICE IN TRACK “THE EMINENT LIGHT”? HAVE YOU THOUGHT TO USE FEMALE VOICE ON YOUR EARLIER STUFF? - I don't think that female vocals would have fit on the earlier albums, even if I tried to think about it. I have had asked Jasmin Anglèn of the Finnish heavy metal band “Ratbreed” to do some vocals on “Rites Under Moonlight”, but the album was pretty much atmospherical in the end and a bit of a fast tempo in order to carry some female presence. On “The Gale”, somewhere in the end of 2016, I contacted Anette Olzon of ex-”Nightwish” in order to ask if she is interested on recording some guest vocals on “The Eminent Light”. Although we agreed, I had a hard time on facing the financial coverage. With all the respect to Anette's career, as much as I wanted, I couldn't have had afforded all these expenses. But the main reason was that by this time I was so focused on recording the album so I forgot about our agreement and proceeded with my fiancé Paulina Medepona on the vocals, she also designed the artwork of the album. So it became a more intimate work rather than involving guests. As well Andras Miklosvari helped a lot on arranging some keyboards and analogs. - THERE ARE SOME PHOTOS OF YOU FROM GIGS, BUT TAKEN WHEN YOU PERFORMED WITH OTHER YOUR BANDS (“WINTERTHRONED” AND “ARVAS”). HAVE “COLDBOUND” EVER PLAYED LIVE? - “Coldbound” so far have never played live on a concert. During the last years I have had interest from both promoters and actual musicians on taking “Coldbound” live (mainly in Finland, Germany and Switzerland) . I have had to take down all amazing offers as I didn't felt confident with the material that was presented by that time. Although, without that been said, “Coldbound” right now is on negotiations with a great festival promoter in Helsinki area (personal favorite indoor festival in Finland) on taking “Coldbound” for a very first and exclusive time on stage, as well getting the whole concert filmed. Also a great line up is been formed right now for this purpose, can't reveal the whole line up but two people will be for sure are Andras Miklosvari of “Earthgrave” (who also recorded on “The Gale”) and Pasi Sipillä, ex-member of the Finnish legendary gothic metal band “Charon”. - SOMEONE SAID THAT PROMOTION NOWADAYS IS THE MOST EFFECTIVE ON SOCIAL NETWORKS. HOW DO YOU PROMOTE YOUR LATEST ALBUM, NOT ONLY POSTING ABOUT THAT ON FACEBOOK? - The promotion of “The Gale” was done on it's 99% from internet. Reaching websites that were specialized on metal music and sending digital promos and so on. Sadly some websites won't accept for any reason a digital promo and will go for a rather physical promo, which will cost to the artist additional cost and maybe won't give any feedback in the end. I have heard a story last summer about a band's friend on getting their promo on a big Scandinavian portal, by sending it as physical format. Not only they got roasted with invalid arguments on the reviews but also their promo was on sale for as good as 1 euro. This is something unacceptable and not morally correct. These promotional packages clearly display that are not for sale. But thanks to the internet, a good promotion can happen. But it also requires a good enough content. - USUALLY MUSICIANS SAY THAT THEIR LATEST ALBUM IS THE BEST. LOOKING BACK AT “COLDBOUND” HISTORY, WHICH ALBUM MAKES YOU PROUD? - Definitely “The Gale”. I have never before worked so much for an album, neither devoted so much time, energy and money on a record before. Besides is a really personal record and I actually think that I have achieved my goal for this record. Maybe it won't be as good as the next record, but it has a special place in my heart and that's the biggest reward as a struggling young music maker. - ”COLDBOUND” STARTED AS ONE-MAN PROJECT. NOW YOU CALL IT AS A BAND. DOES OTHER MEMBERS ARE INVOLVED IN CREATION PROCESS OF NEW SONGS? - Sort of. Still is a one man band since I compose all songs (for now). Maybe later it will evolve to something bigger, I don't know it remains to be seen. Definitely Andras and Paulina that helped a lot on composing “The Gale” have had free hands on using their imagination and creation on top of the recordings. It is so amazing to hear other people's ideas. Especially from people who can feel your vibes. - IN THE SAME INTERVIEW NOISEBENEATHTHESNOW.COM YOU SAID THAT “INSOMNIUM” HAVE INSPIRED YOU MORE THAT ANY OTHER BAND. 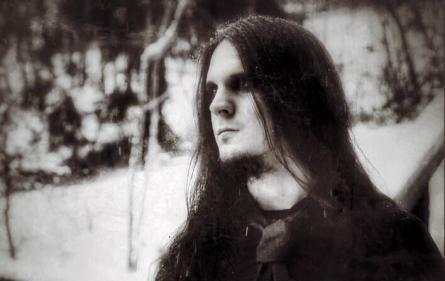 DID YOU KNOW THAT LITHUANIA WAS THE FIRST FOREIGN COUNTRY WHERE “INSOMNIUM” HAS PLAYED ABROAD? ARE THERE ANY CHANCES TO SEE YOU WITH “COLDBOUND” OR OTHER YOUR BAND IN BALTIC STATES? - Wow, that I never heard before. It gives me a whole new (even more) positive vision towards visiting Lithuania now :-) . Of course “Coldbound” is interested on playing concerts and hopefully after this show case in Helsinki (if it's gonna happen), the road will be wide open for taking over other places around Baltic states and hopefully open for big names.